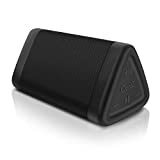 The OontZ Angle 3 Enhanced Stereo Edition Portable Bluetooth Speaker has been the best-selling portable wireless speaker on Amazon for nearly two years now. Stop for a moment and think about how crazy that is. There are thousands upon thousands of different Bluetooth speakers on Amazon. It’s one of the most crowded categories in tech. And yet this model has outsold them all consistently for two years. That’s just plain crazy, and it’s high time you found out what all the fuss is about. The Angle 3 is on sale right now for just $19.99, which happens to be its lowest price ever. Definitely grab one while you can.